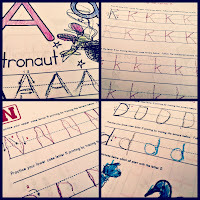 For Pre-K we focused a lot on learning our ABC's.� We did this by learning a letter a week.� Starting with Aa and moving on till we finished with Zz.� This approach worked really well for my daughter.� Check out below what steps we took and try some out for yourself! 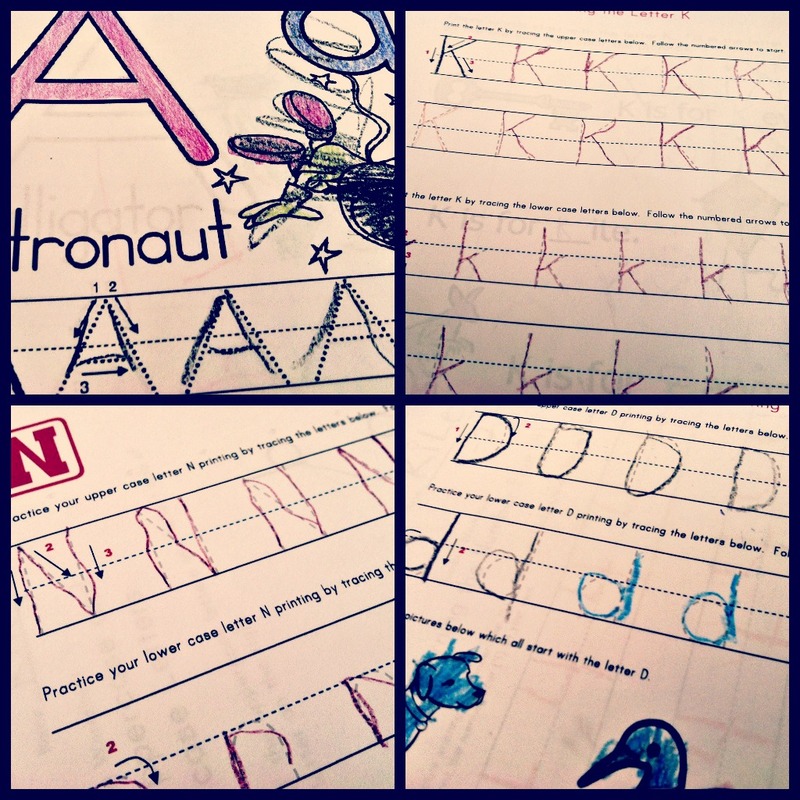 I found an awesome website that for free you can print out traceable and practice printing worksheets. Every day we would practice writing the letter for the week.� To print out the worksheets click HERE. 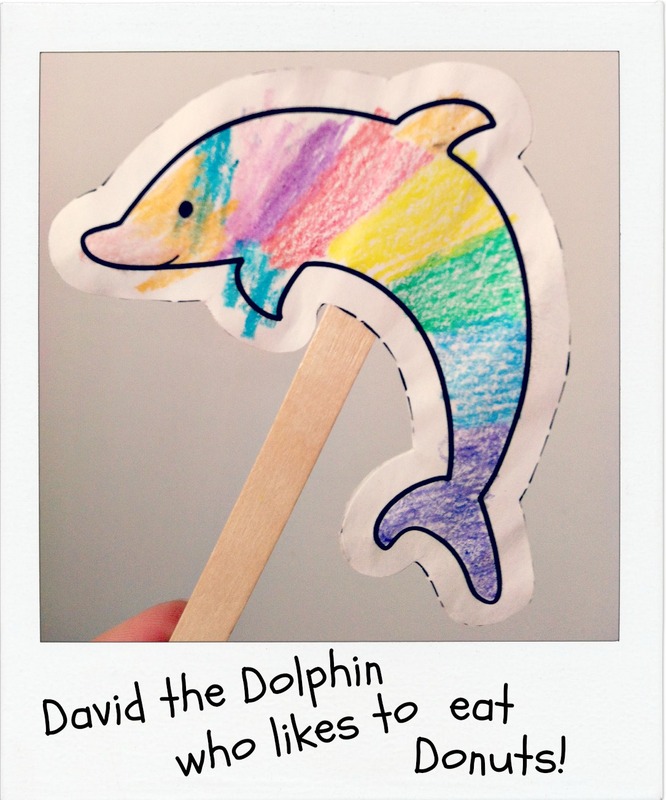 Click HERE to print out an animal puppet for free. 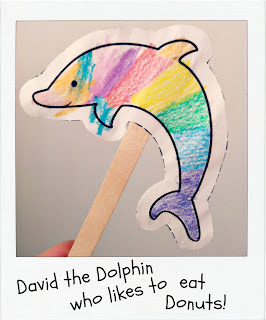 Have your child color the animal, cut it out and paste it onto a popsicle stick. Give your animal a name and food it likes to eat that starts with the letter of the week. For example: Adam the Ape likes to eat Apples & Felicia the Flamingo who likes to eat French Fries. As the weeks go by practice each animal.� The repetition helps your child recognize the letter sounds and connect it to words that start with it. While your out and about shopping, at the library or even at home, have your child try to find the letter for the week in both upper and lower case.� Make it fun and see how many you guys can find in one week! If you homeschool, you are probably already aware that there are many different learning styles.� Everyone has their preferred method of learning. The common school of thought recognizes three distinct learning styles.� These are Visual Learners, Auditory Learners, and Kinesthetic Learners.� They may sound like fancy labels, but they are simply different ways of learning.� Most people work best with one learning style, but will find that they may overlap into the other areas.� This makes it important to address all learning styles with every student, while focusing on the style that suits them best. Visual Learners - These people learn through seeing.� They learn through reading of text, use of pictures, graphs, diagrams, etc.� If your child is a visual learner, you should provide reading material, use body language in your teaching, and instruct your child how to take notes.� Use written instructions, rather than oral and keep background noise to a minimum.� Remember that they memorize using visual cues, so they may prefer to write something down, even on an oral assignment.� Visual learners tend to recall information better if they have read it to themselves silently before reading aloud or discussing the information.� It may be beneficial to provide a visual learner a general outline of the material that will be covered in a discussion or reading.� Using concept maps also helps to provide connections of the material. Auditory Learners - These are the children who will benefit from reading the text aloud, listening to a story on a tape recorder, or participating in a discussion.� For your auditory learner, you should consider using online stories with audio support, books on tape, or taking turns reading out loud.� Auditory learners function well with wordless background music playing while they study.� It may be beneficial for your auditory learner to use a finger or a pointer when reading to avoid skipping lines.� The auditory learner also benefits from repeating the given directions, performing oral evaluations, and using word association to remember material. Kinesthetic Learners - Kinesthetic learners learn best through a hands-on approach.� They learn though moving, touching, and doing.� If your child is a kinesthetic learner, you may want to consider field trips, laboratory experiments, and using memory techniques involving hand gestures.� Kinesthetic learners need to work in shorter blocks of time and take frequent breaks while studying.� They tend to need space to read or write, such as laying on the floor or bed as opposed to sitting at a table.� Kinesthetic learners tend to favor action-oriented books.� To encourage your kinesthetic learner, allow for the use of models, projects, or demonstrations as opposed to the traditional written report. Discovering your child's learning style will not only benefit your child, but you, the homeschooling parent as well.� Having this knowledge will help you determine what curriculum works best for you and will therefore save you time and money.� Most importantly though, knowing how your child learns will foster confidence and encourage a lifelong love of learning in your child. In the early eighties, Dr. Howard Gardner developed a theory of multiple intelligences.� He proposed that recognizing multiple intelligences in people allowed for a broader range of potential.� He suggested that I.Q. tests were too limiting and that humans had a wide variety of areas in which they could be considered intelligent or gifted.� He categorized eight areas of intelligence.� They are linguistic, logical-mathematic, spatial, bodily-kinesthetic, musical, interpersonal, intrapersonal, and naturalist.� If you have never �tested� to find you or your child�s multiple intelligence, you can try this online test: http://www.literacyworks.org/mi/assessment/findyourstrengths.html.� What you will probably find is that while your child may have one very strong area of intelligence, he or she will show potential in several areas. The�linguistic learner is likely to enjoy poetry, journaling, creative writing, storytelling, and alphabetizing.� Your linguistic child may enjoy teaching you a concept. The�logical-mathematic learner is likely to enjoy activities that include problem solving, Venn diagrams, classifying, and puzzles.� This child will really enjoy scientific experiments, cooking following a recipe, sequencing, and measuring. People who have�spatial intelligence enjoy painting, drawing, making collages, murals, and posters.� An activity this type of child would enjoy would be creating a film or video as an alternative to a written report. While it�s probably obvious that a�musical learner will enjoy music, it is important to keep in mind everything that this encompasses.� This type of learner will not only enjoy playing instruments and singing.� They are likely to enjoy poetry, writing to music, rhythmic patterns, writing lyrics, and studying musicians. The�interpersonal learner is going to be the outgoing child.� He or she will enjoy interviewing people, teaching others, cross-age tutoring, and problem solving. The�intrapersonal child is going to enjoy less social activities such as silent reading and journal writing.� He or she may also enjoy reading autobiographies and the using of imagery and dreams in writing. The�naturalist will be excellent at recognizing and classifying items in nature.� They will enjoy visiting zoos and aquariums and taking nature walks.� A naturalist will be interested in ecology and animal rights. By recognizing your child�s areas of strength, you can select the appropriate homeschool curriculum for your child�s needs.� You will be fostering a life-long love of learning and your child will feel respected by your attentiveness to his or her interests.